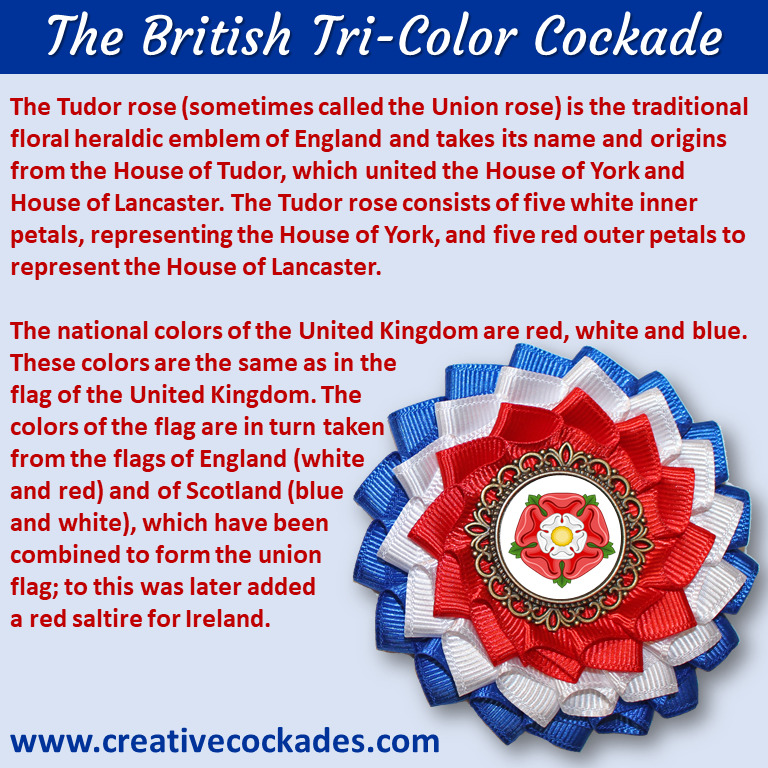 British colors frame the striking national emblem, the Tudor Rose. Approximately 3" (7 cm) across rosette. The Tudor rose (sometimes called the Union rose) is the traditional floral heraldic emblem of England and takes its name and origins from the House of Tudor, which united the House of York and House of Lancaster. The Tudor rose consists of five white inner petals, representing the House of York, and five red outer petals to represent the House of Lancaster.